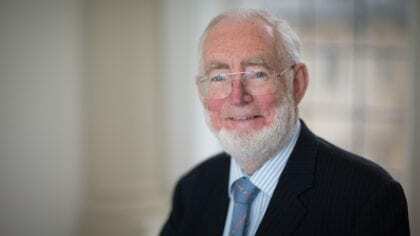 Political Quaterly has just published a series of papers devoted to Tony Atkinson’s Participation Income (these will appear in print later in 2018, but all articles are available online at the moment). These have been presented and discussed at the 2017 BIEN Congress. I have several questions, the most important one deals with how each country’s federal government in any business way, pays back all of the outstanding corporate welfare (shelled out to even foreign corporations, with little if any public scrutiny). In Canada alone, 695 billion has been tossed to corporations since the 70’s…and we wonder why public services and programs (especially healthcare, are constantly being unjustifiable cut)……see the Fraser Institute’s report done and reported on CBC News. This gross welfare amount does not include the mostly unaccounted infrastructure and pollution costs taxpayers have been paying for decades, while reaping no real benefits or avenue to critically assess corporate actions, as to cause in the first place. In fact, that is exactly what should happen, taxpayers must be finally given shareholder status, since under contract law they are forced to assume all responsibility, normally considered legally applicable to the perpetrator (s) directly involved in the business decisions to pollute or dubiously abuse monies they never earn or warranted. .Then there’s the bribes for jobs, said to be necessary to garner favor of establishing newer sub-sets of oversized heavy corporations. The last area hardly even whispered about, is the dumping of all the costs associated with these trade agreements, set in place to circumvent our laws and court system established to deal with corporate excess and pollution….see bilaterals dot com. Since most media has long since been swallowed by the very businesses their expected to report honestly on ….we are left, for the most part with a shrinking resource-stressed world with little if any regard for people…. Now branding includes what used to be human values of integrity to earn ones reputation….Is it any wonder that a known economist offered the idea of simply ‘letting 90 million people die and the stress on climate/environmental changes would be more manageable…..(paraphrasing)-here he naturally did not consider including anyone he knew).. Many know all these facts and yet not one inch must be given in return for all the miles (and trillions of dollars-including the 2008 global fraud gambit) taxpayers have been forced by the governments they elect to carry and pay, seeing their futures gutted by these few sociopaths. So why is any genuine argument for basic income necessary, given the unmitigated amount of debt forever owed by every corporations to each person they have quietly corrupted with these financial burdens. decade after decade?